Do these projects really need any explanation anymore? :) This is the FIFTH baby blanket we've made for a colleague at work. 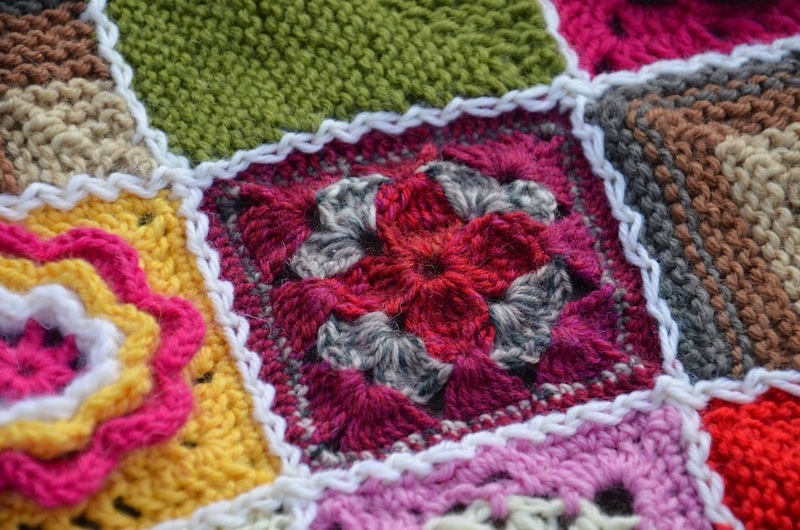 Everyone who wanted to participate made a few knitted or crochet squares using leftover yarns from their stash. 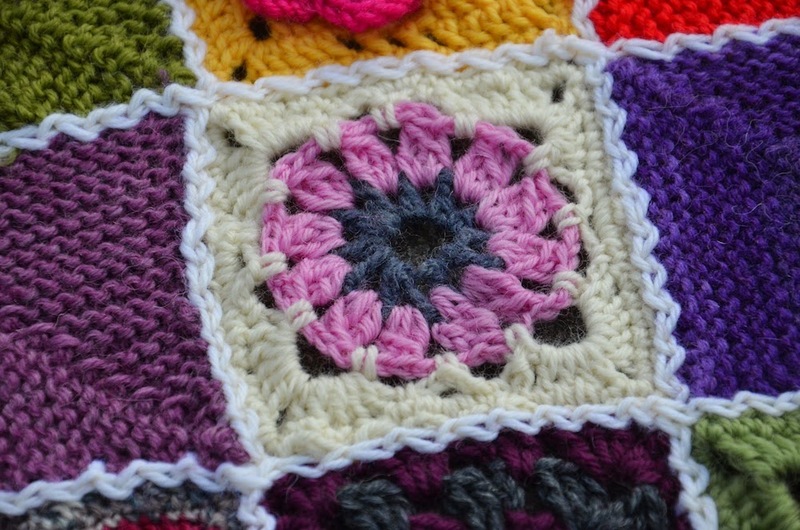 Then I offered to crochet it all together - and voilà! 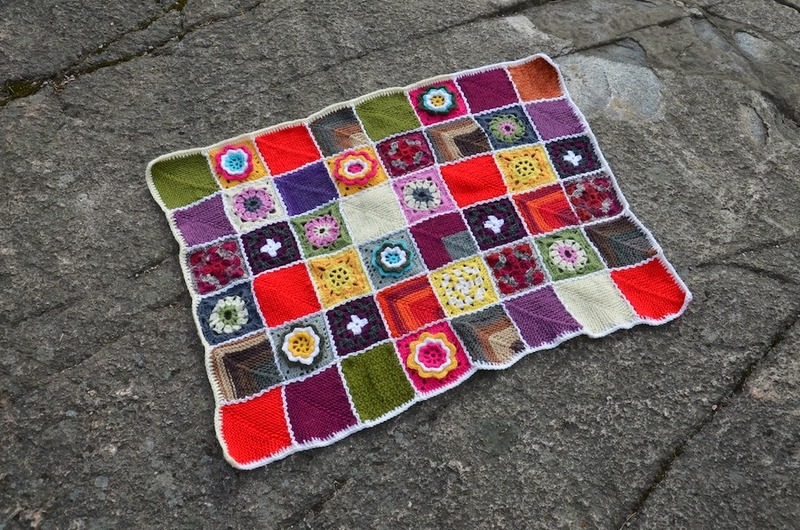 Another blanket is ready to warm someone small and cute! 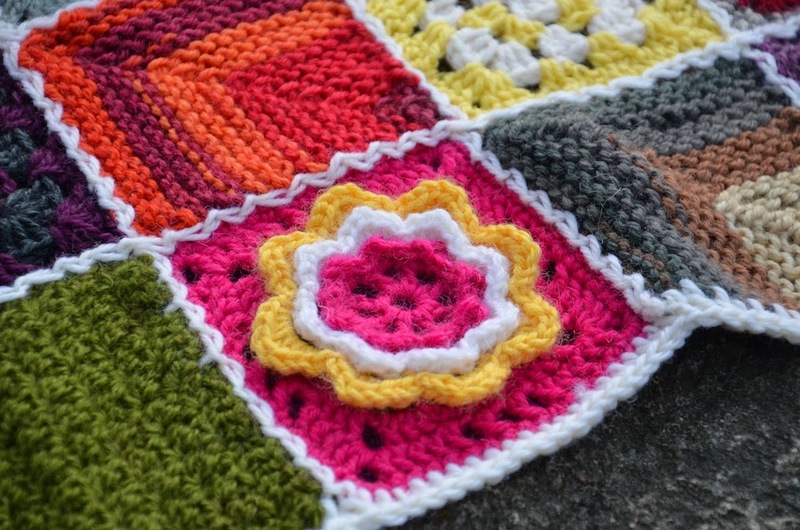 This time some of us wanted to try something new, so especially the crochet squares are made with a little bit more complicated patterns than in the earlier blankets. 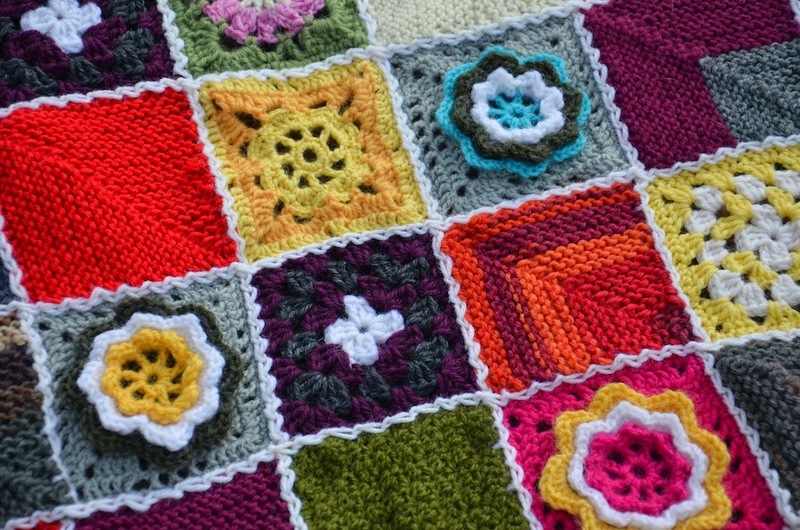 Most of them are from the book I bought resently: "200 Crochet Blocks for Blankets, Throws and Afgans" by Jan Eton. 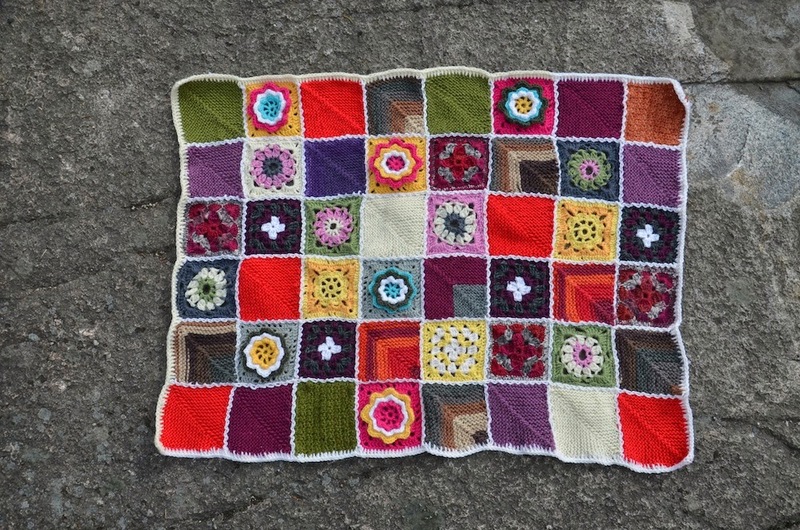 I still think this blanket is my all time favourite, but this newest one doesn't come far behind. 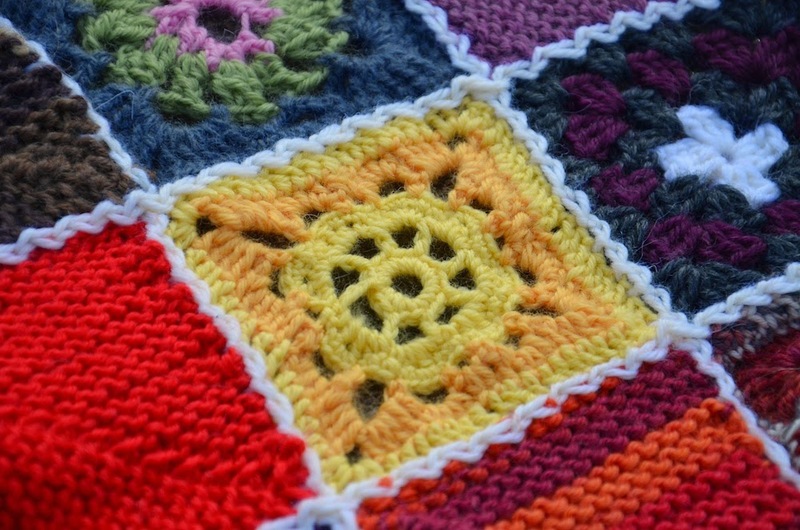 I especially like the bright colours and the wonderful different textures in it. 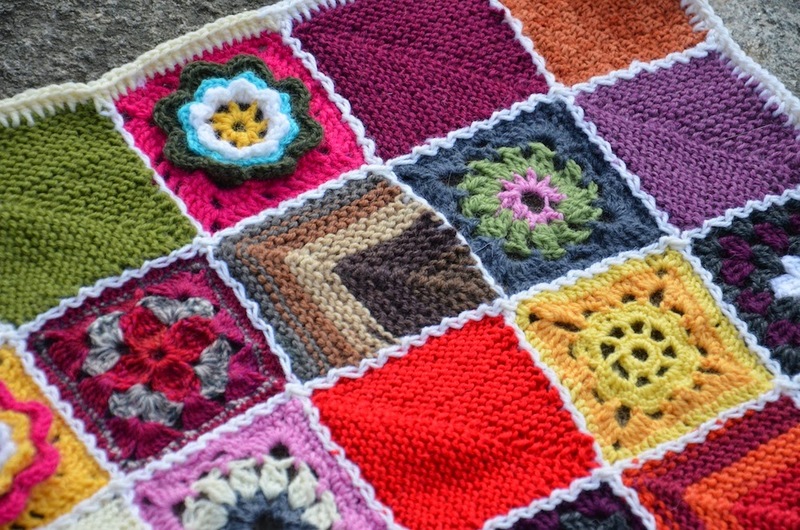 These blankets are so wonderful! I'm sure the recipient is going to be very happy.